British writer Robert Banks Stewart, best known as the creator of Doctor Who’s shapeshifting alien menace the Zygons, has passed away at the age of 84. 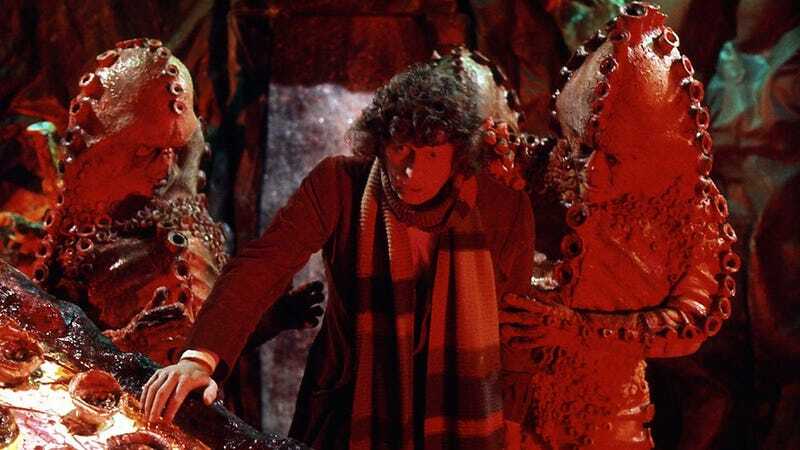 The Zygons might be Stewart’s most famous creation, but his brief association with the series gave us some of its finest episodes. Stewart was a journalist before he turned his hand to scriptwriting, becoming a recurring writer for both ITV and the BBC. He provided stories for ‘50s spy classics like Danger Man and The Human Jungle, and eventually the likes of Top Secret and The Avengers. His first brush with Doctor Who is still his most iconic: 1975's “Terror of the Zygons”, a Tom Baker serial set in Stewart’s native Scotland that introduced the world to the titular Zygons, shapeshifters hiding under Loch Ness. It was an instant success—and despite the fact they would never return to the show in its classic era, the Zygons quickly sat alongside the likes of the Daleks and the Cybermen as all-time great Doctor Who monsters in the public consciousness. While the Zygons remain Stewart’s best-remembered addition to the show, he was also behind another Tom Baker classic. The success of “Terror” saw Stewart return later in the same season for “The Seeds of Doom”, a tense thriller that introduce another fondly-remembered one off creature, the plant-like Krynoid. Stewart quickly moved on from his Doctor Who success, going on to create the iconic detective shows Shoestring and Bergerac for the BBC—but even though his monsters and aliens were one-off stars, the captured the hearts and minds of Doctor Who fans the world over, ensuring that Stewart’s contributions would never be forgotten. After all, the Zygons were seen as iconic enough, and important enough, to make their return in the show’s 50th anniversary special in 2013: a testament to the enduring brilliance Robert Banks Stewart instilled in them all those years ago.